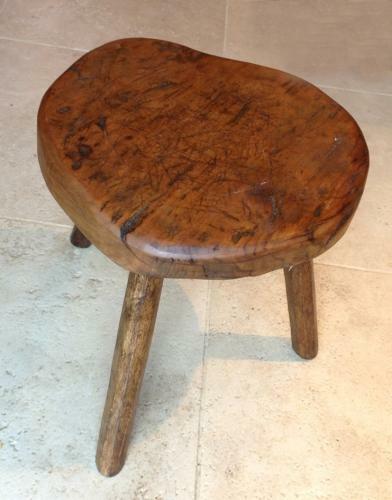 Rustic Milking Stool with very solid top. Milking stools were always 3 legged as they didn't rock on the uneven dairy floors. Good size at side of sofa for drinks table etc. Top is possibly fruitwood?